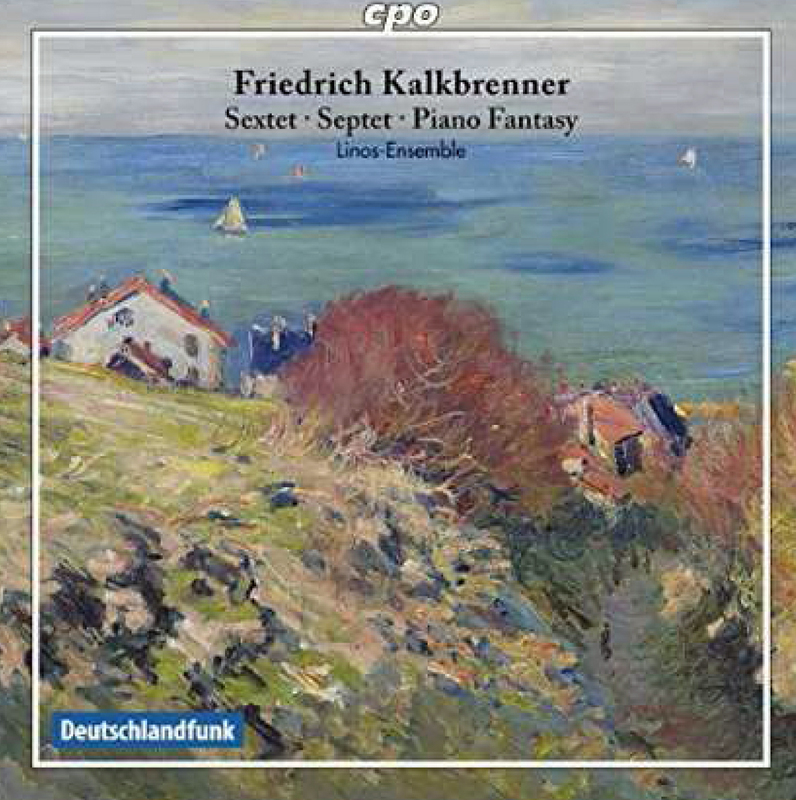 This is a charming CD, featuring the word of Friedrich Kalkbrenner (1785-1849). As with many of the CDs we like, his name may not be familiar to most music lovers; in his day he was said to be the foremost pianist in Europe and (according to Wikipedia) became enormously rich because he had a sound business head. Talented, popular and astute: if he was alive today, he’d have his own community of haters on Twitter, a bit like the equally talented and financially astute Ed Sheeran. Back in those pre-social media days, he had to settle for a satirical poem or two from Heinrich Heine. We’d guess his large output was balanced by a corresponding drop in quality, the reason he is not remembered today, but this is pleasant chamber recital of his work, performed with warmth. It may not be first rate but it’s pleasant to listen to. The works on here are the Sextet in G Major, op 58; the Piano Fantasy on the Scottish Air, We’re a’ Noddin’, op 60 (performed by Konstanze Eickhorst) and the Septet in A Major, op 132. Catchy and pleasing: chamber music fans take note. Out on CPO (777850-2).